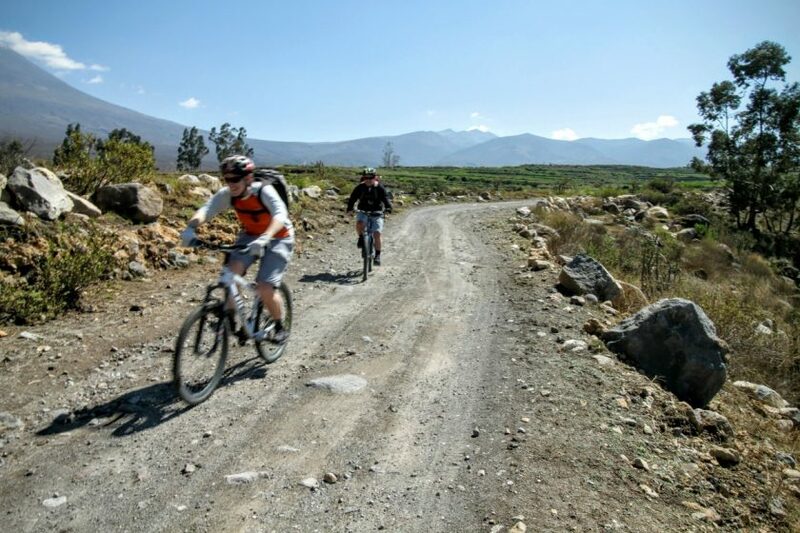 The novelty of mountain biking down a volcano proves too alluring. 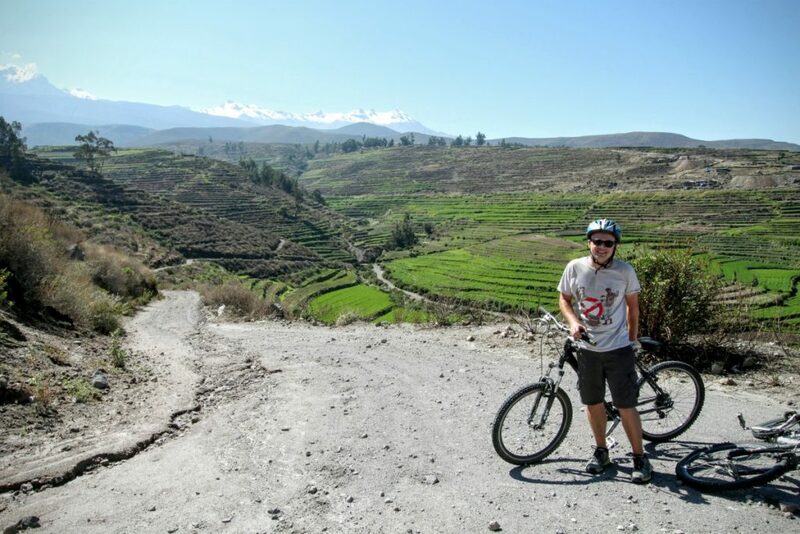 Most tour companies in Arequipa offer mountain biking on the surrounding volcanoes. My plan was to join a group on Chachani, but the rains wiped out the road. So for s/150, I had to settle for Picchu Picchu. The guide picked me up from outside the hostel at around 7:15am. A quick stop to get the other two of our group gave me enough time to get to a bodega for a banana and packet of chips for breakfast. 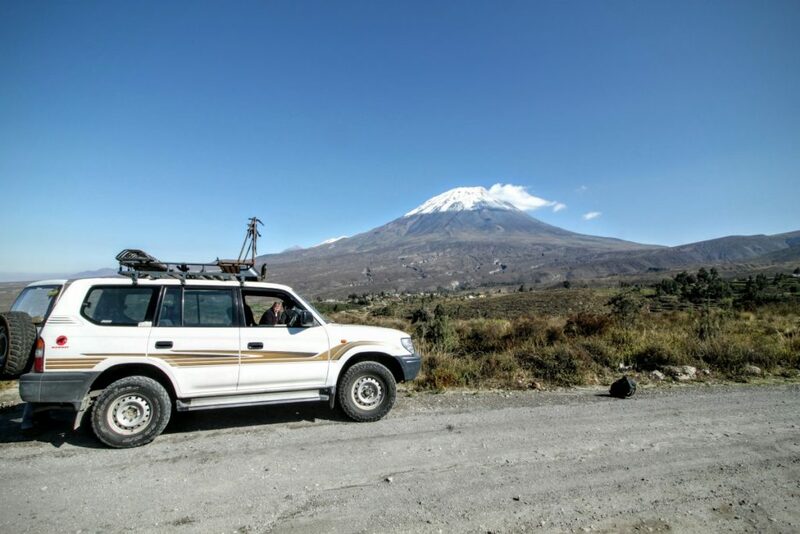 The land cruiser took us up and out of the city. The cosmopolitan appearance of the historic center quickly subsides as you travel through the poorer suburbs. We drove for maybe 40 minutes through twisty winding roads. With some of the healthiest gum trees Ive every seen, it felt like we were in the Adelaide Hills. So, despite the promise of downhill mountainbiking on a volcano, the reality is you only really make it into the foothills.Our guide told us we were around 4200m, but my phone’s GPS reckons we never got higher than 3800. Split the difference and say 4000, high enough to lose your breath fairly quickly. The bikes are best described as adequate. Trek hardtails that have done some time. The front fork was fairly stiff, but apart from one of our group hitting a rock and snapping a derailer hanger near the end, they got the job done. The first section of the ride was fairly smooth gravel road. 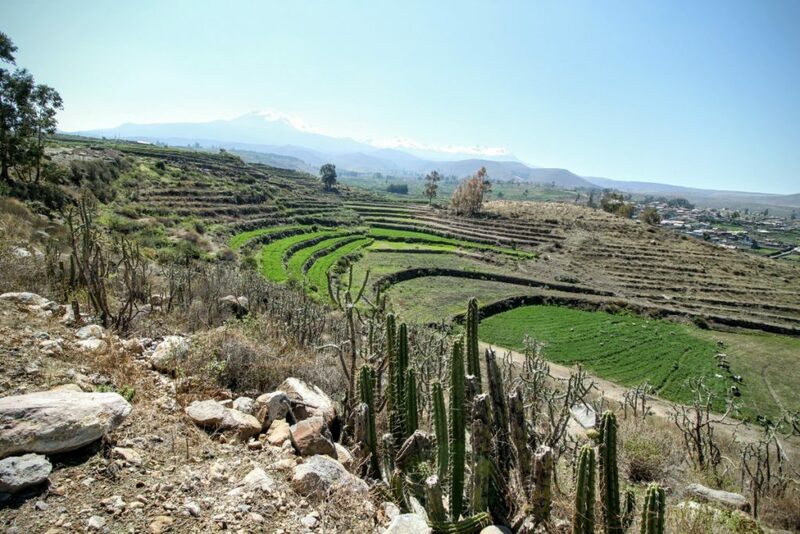 All around was Inca and pre-Inca terraced farmland, still in use today. 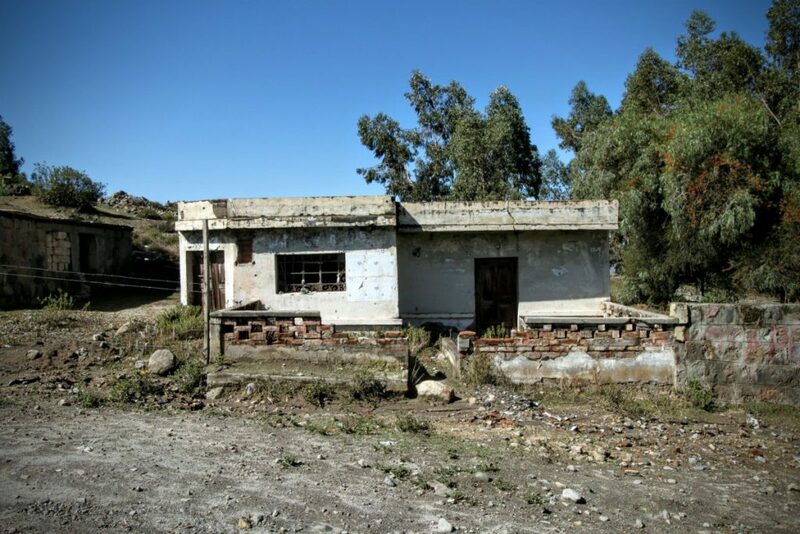 Things sped up as we passed through two small villages. Just be prepared to break hard for livestock on the road. After this we got to see the full effect of the rain. What was the local road had become a rocky, rutted out creekbed. Our guide had to turn around in the cruiser and meet up with us later (its impossible to get lost). The rocky track ended up beight quite technically challenging, and I came off the bike once. Eventually things smoothed out and I was able to pick up some speed. 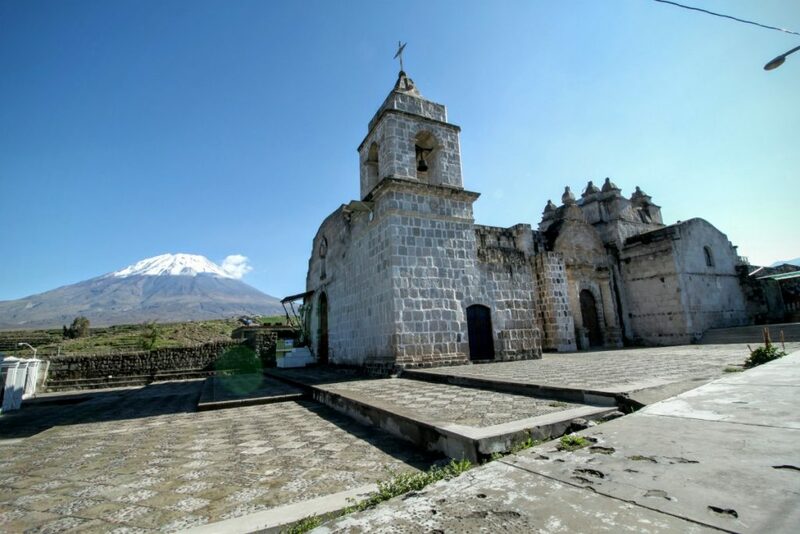 We met our guide at a small town with a fancy curch. From here the rest of the ride was on bitumen, but was very fast. A bridge signified the end of the ride. We put the bikes back on the roof and drove the rest of the way back to the city. Ive been told that Chachani is a more offroad ride, but this was still a lot of fun. 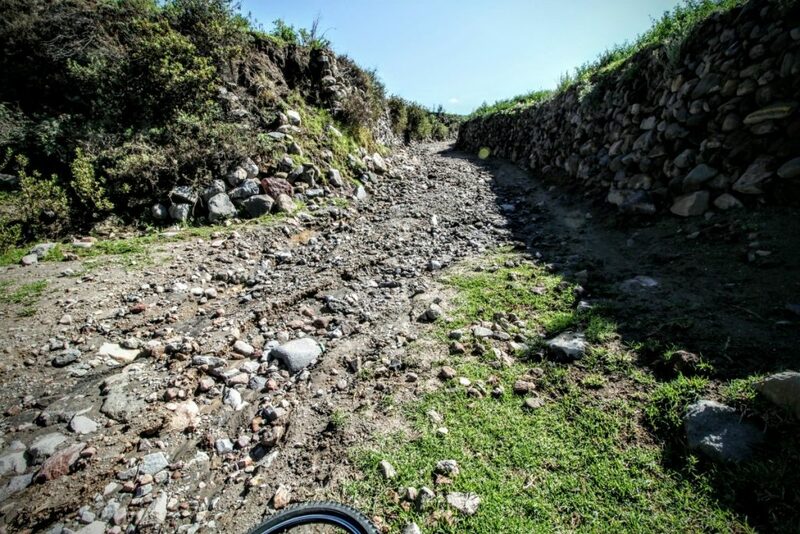 However, I expect downhill in Colca Canyon would be more authentic, if downhill is really what you want.